Taman AyunTemple is a compound of Balinese temple and garden with water features located in Mengwi district in Badung. Badung regency about 18 Km north side of Denpasar town. It is strategically located beside of major roadway between Denpasar to Singaraja. It is set on the land which is surrounded by the big fish pond and look like a drift on the water. 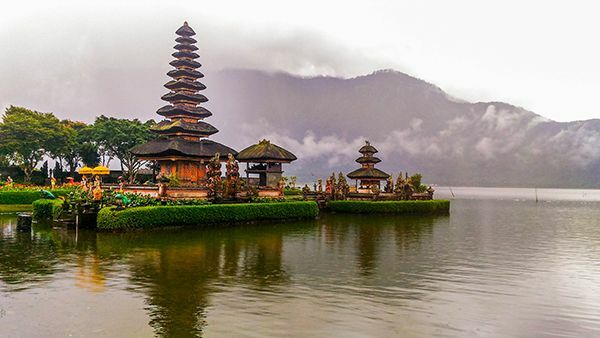 It owns the beautiful temple building with multi storied roof and Balinese Architecture. The wide beautiful landscape garden in front courtyard to welcome all visitors who come and visit this temple. It is a beautiful and the most popular for vacation in Bali.